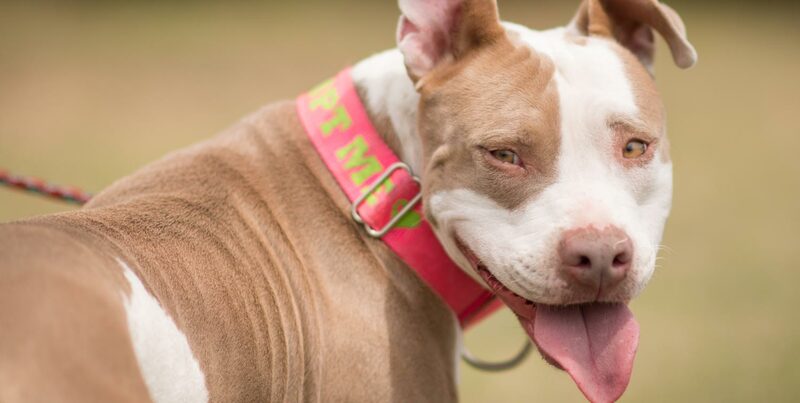 As the beautiful month of October approaches the Love-A-Bull team is gearing up for our Seventh Annual Celebration of National Pit Bull Awareness Day! Many of you have heard the buzz that our event will be held at a new location and that we have scaled down the schedule of events this year. This change is due to our favorite location in downtown Austin (Republic Square Park) under going Phase II of the City of Austin’s Emerging Projects plan. The construction at the park has given us the opportunity to showcase and partner with an exciting new Austin based dog-focused business! 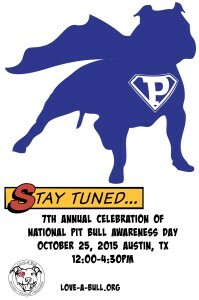 Please mark you calendars for Sunday October 25, 2015, 12:00 to 4:30PM and stay tuned for more announcements regarding this years campaign and event in Austin, Texas…..